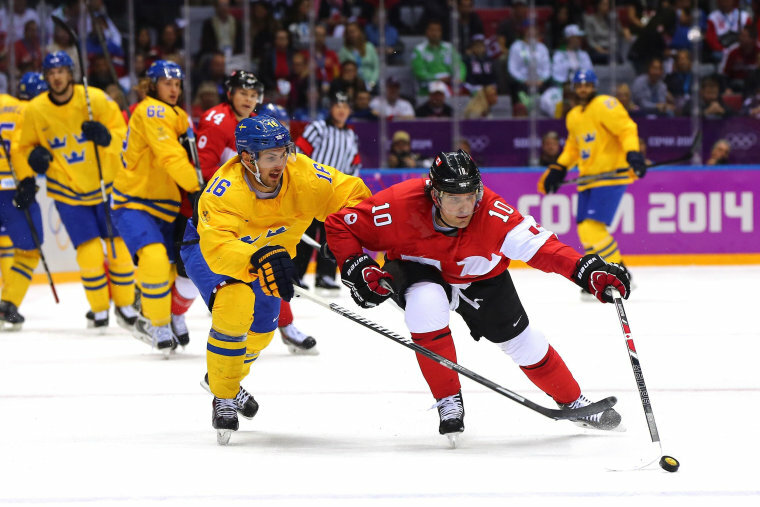 Patrick Sharp of Canada retains the puck under pressure from Marcus Kruger of Sweden during the men's ice hockey gold medal game of the Sochi 2014 Winter Olympics on Sunday. Canada leads 1-0 after the first period thanks to a goal by Jonathan Toews. Watch the game streaming live at NBC Olympics.